Start off your visit on the 18th (Sun): go for a walk through West Martello Tower and then admire all the interesting features of Key West Garden Club. Get ready for a full day of sightseeing on the next day: admire the majestic nature at Fort Zachary Taylor, steep yourself in history at Truman Little White House, then examine the collection at The Ernest Hemingway Home and Museum, and finally look for all kinds of wild species at Key West Butterfly & Nature Conservatory. To find traveler tips, more things to do, reviews, and tourist information, refer to the Key West road trip app . Boston to Key West is an approximately 6.5-hour combination of bus and flight. You can also do a combination of train and flight; or drive. Traveling from Boston in November, things will get much hotter in Key West: highs are around 81°F and lows about 73°F. Finish your sightseeing early on the 20th (Tue) to allow enough time to take a bus to Marathon. 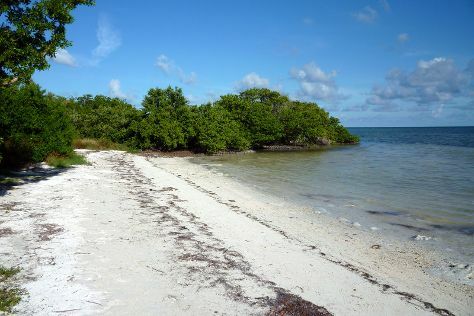 Kick off your visit on the 21st (Wed): look for gifts at Bayshore Clothing, look for all kinds of wild species at National Key Deer Refuge, and then enjoy the sand and surf at Bahia Honda State Park. On the 22nd (Thu), you'll have a packed day of sightseeing: kick back and relax at Sombrero Beach, look for all kinds of wild species at Pigeon Key Foundation, then look for all kinds of wild species at The Turtle Hospital, then look for all kinds of wild species at Crane Point Museum & Nature Center, and finally take in the architecture and atmosphere at San Pablo Catholic Church. To see traveler tips, maps, reviews, and other tourist information, go to the Marathon attractions planning tool . Traveling by bus from Key West to Marathon takes 1.5 hours. Alternatively, you can drive. In November, plan for daily highs up to 82°F, and evening lows to 72°F. Cap off your sightseeing on the 22nd (Thu) early enough to go by car to Islamorada. Kick off your visit on the 23rd (Fri): shop like a local with Michelle Nicole Lowe Art Gallery, kick back and relax at Anne's Beach, look for all kinds of wild species at Florida Keys Wild Bird Rehabilitation Center, then get a taste of the local shopping with Old Road Gallery, then choose your vessel at Robbie's of Islamorada, and finally indulge your thirst for a good beer at Islamorada Beer Company Brewery and Tasting Room. For maps, more things to do, reviews, and tourist information, read our Islamorada holiday planning site . Traveling by car from Marathon to Islamorada takes an hour. Alternatively, you can take a bus. In November in Islamorada, expect temperatures between 82°F during the day and 72°F at night. Cap off your sightseeing on the 23rd (Fri) early enough to go by car to Miami Beach. 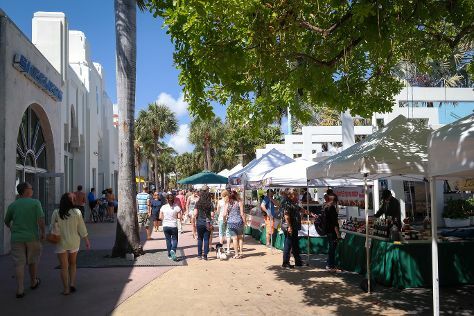 Kick off your visit on the 24th (Sat): wander the streets of Collins Avenue, take a stroll through Lincoln Road, appreciate the extensive heritage of Art Deco Tours, then enjoy the sand and surf at South Beach, and finally get to know the fascinating history of Art Deco Historic District. Get ready for a full day of sightseeing on the 25th (Sun): enjoy the sand and surf at Haulover Beach Park and then get a taste of the local shopping with Aventura Mall. For ratings, traveler tips, reviews, and other tourist information, you can read our Miami Beach online journey planner . You can drive from Islamorada to Miami Beach in 2 hours. Another option is to take a bus. In November, daytime highs in Miami Beach are 82°F, while nighttime lows are 70°F. Finish up your sightseeing early on the 25th (Sun) so you can travel back home.